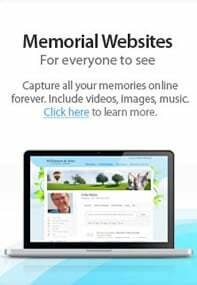 Do You Need Help with Funeral and Cremation Planning in Moneta, VA? What should you do when it is time for funeral and cremation planning in Moneta, VA? The selection of a funeral home is the first place to start, but it can be overwhelming to compare the services in the area. Once you have a good funeral director to assist, you will have peace in knowing that everything will be handled by an experienced team. Indecision with funeral planning often occurs because the family doesn’t want to miss any of the important details required for these services. Rest assured in knowing that you don’t have to handle the funeral planning without support. Instead of worrying about the plans and details, you can turn your focus to the family. Let a good funeral director oversee the funeral services, giving you optimal results for the event without the stress. Conner-Bowman Funeral Home & Crematory is here to provide the support and care required for funeral planning. As you are beginning the process of designing a funeral for a loved one, we invite you to schedule a consultation with our caring team. We are just a phone call away, offering the assistance you require. You are welcome to learn more about our business and the services that are available. Two important aspects need to be considered for funeral planning. The obvious services are focused on the event and care of the remains. You need to choose a location for the funeral or memorial, select the way the body will be laid to rest, and determine the events that support the needs and desires of the attendees. Some families want to hold a large funeral that is open to the community. Others prefer to schedule an intimate, small gathering with a select list of people who are invited. We will honor your desires and help you create the best event to match your desires. At Conner-Bowman Funeral Home & Crematory, our team assists with every aspect of these funeral arrangements. We will discuss your options for the services, location, cemetery plot, urn, casket, headstone, and more. Additionally, we add small details to the event to create a beautiful, memorable gathering that you can look back on for years. Funeral services are more than the basic logistics for the event. It is also important that the family receives support and grief care. You are facing a difficult loss, and our team is here to provide the resources that will assist in the healing. If you are looking for grief resources, then you shouldn’t hesitate to talk to us about your options. What is the ideal timeline for funeral planning? It is common for families to work through these details when the event is scheduled. If the death was not anticipated, then you have a small window of time to decide on the arrangements and services. Last-minute funeral planning is the most stressful process. In comparison, you might consider preplanning solutions for funeral and cremation services in Moneta, VA. You don’t need to have a funeral date on the calendar before you choose the details of the event. Instead, our team is here to discuss your options and offer support while you are preparing for the future. Preplanning gives you the ability to choose the timeline that matches your desires. Contact Conner-Bowman Funeral Home & Crematory for preplanning services so that we can honor your wishes for the event. Even though you will be gone when the funeral is scheduled, you will have peace in knowing that your plan was ready to match your preferences. This preplanning eliminates the need for your loved ones to face the most difficult decisions for funeral services. Another reason you should consider preplanning is to manage the costs of the event. We’ve found that funeral preplanning makes it easier to control the amount of money that is spent. You can compare the cost of services, evaluate your budget, then design an event to match your needs. At Conner-Bowman Funeral Home & Crematory, we provide funeral packages that can be customized based on the traditions and requests of your family. Our goal is to carry the stress of the event so that you can focus your time and attention on the healing experiences and memories that are shared with your loved ones.